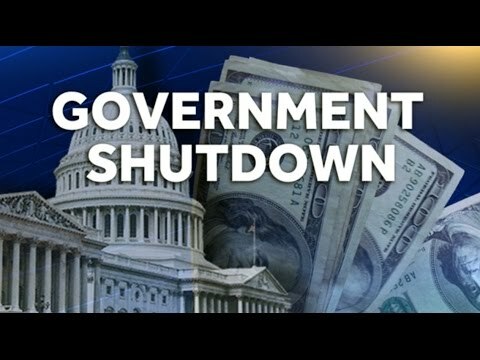 What a way to celebrate Trump's first year in office - a government shutdown. I gotta hand it to him. It only took 12 months to bring our government to a screeching halt. He torpedoed the budget negotiations, and left Republicans baffled on what he wanted. Today, Trump is making it clear that if he doesn't get his way the government is staying closed, despite compromising efforts by lawmakers trying to reopen the government this weekend. None of us should be surprised. "Mr. Art of the Deal" is a fraud. Making deals (like the crooked ones Trump's made with known mafia figures during his casino days) is the art of the bullying, which doesn't go down well with our Constitution. Putting Trump in Washington has turned out badly for millions, and he's not done yet. This government shutdown is not going to slow down Trump's racist agenda. Now, it's up to the voters this midterm. If the Democrats take back Congress, Trump's racist agenda won't stand a chance.